Ahhh, Tent Sale memories. The clanking of the legendary Mary’s buckets as our cashiers sticker and prepare them to be given away to our happy customers reminds us of all the excitement to come as we prepare for our 26th annual Tent Sale. Think of your favorite store. Would you plan a vacation around their sale? 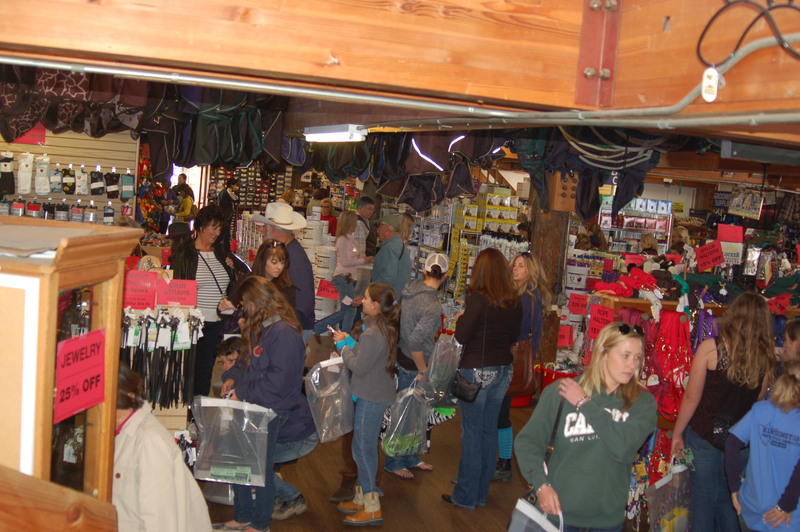 Believe it or not, we actually have horse owners living out of state who call months in advance to confirm our Tent Sale dates (this year it is February 15-17, 2013) so they can make travel plans to join us. “Wait. An equestrian store selling tents? 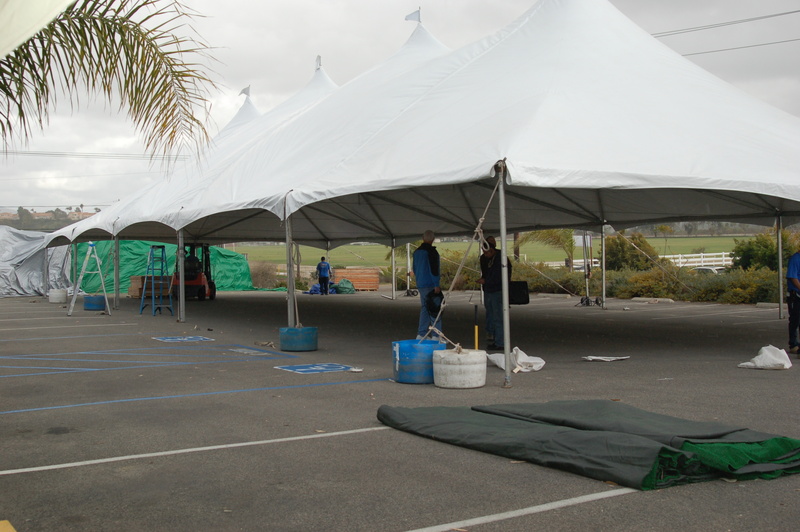 I don’t get it!” Well, we don’t sell tents at our Tent Sale but rather we have incredible prices on great things that we put UNDER a tent- an enormous 100 foot tent to be exact. The entire store gets completely remerchandised for our biggest sale of the year. Even if you shop with us all the time, you have GOT to stop by during that weekend. You will be amazed at the transformation! You’ll find almost everything in the store on sale, and every year customers that have moved away or we haven’t seen for years will be shopping the great deals. Old time riding partners meet again, barn mates stop and talk,- our whole store takes the form of a large social as much as a shopping event. And then around lunch time, we fire up the grill and serve some hotdogs, chips, and drinks to those tired shoppers and their tag-alongs that need to sit down for a bit. Many of our vendors even send a representative, some coming from overseas, just to work at our sale and meet with our customers. That is probably my favorite part – the ability for a customer to perhaps meet the maker, inventor or promoter of a specific product. From Dr. Colleen Wilson, owner/founder of Adeptus to Loralee, who invented the ISpyCamera for use in horse trailers or stalls. Now, not ALL our ideas go well, we have to admit. One year, for example, we thought we’d combine a Tent Sale with a blood drive. (Hey, we know our customers are community minded!). Unfortunately, drawing blood and then shopping upstairs and downstairs at our sale resulted in a few people actually fainting. Uh oh! But overall, each year the sale really gets a bit bigger and better. This year we’re featuring our ‘ham’ of a GM on his microphone with his contests and auctions again. Friday is our busiest day, and we’ve added Wild Card Saturday to our line up. On Saturday, look for special ‘flash’ sales throughout the day to enable lucky customers to get a coupon for an extra discount on select items or departments. And, of course, our Super Sunday, with some extra department discounts added to help finish off our Tent Sale with a flourish. This year the Mary’s Tent Sale is Friday and Saturday, February 15/16 9am – 5pm, Sunday, Feb 17 9am – 4pm. We are closed Thursday all day to prepare for the sale. My daughter is flying in from Oregon for the sale. Moved there in 2004 and decided it’s been too long since she ws at a Mary’s Sale. We’re just happy she might stop by the house to say hi to her dad and I.